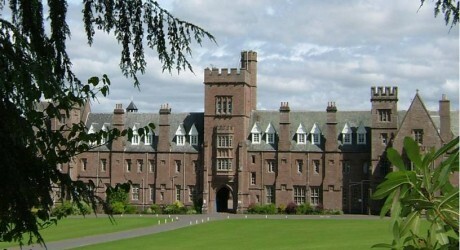 FRESH from winning nominated supplier status for world-leading food and support services company, Compass Group UK and Ireland, Scottish butcher, Simon Howie Foods, based in Dunning, Perthshire, is now providing a range of meat products for fellow Perthshire organisation, Glenalmond College. Steven Lynn, Scottish sales manager at Simon Howie, said: “We are delighted to become a nominated supplier to Compass and hope that we can consolidate and extend this relationship into other outlets and facilities served by the group. Compass Group UK and Ireland local sourcing buyer, Georgiana Hodin said: “We seek to establish mutually beneficial relationships with all our suppliers and encourage them to match our high standards in respect of quality, food safety, working conditions, trading practices, health and safety and environmental protection.